All in one! 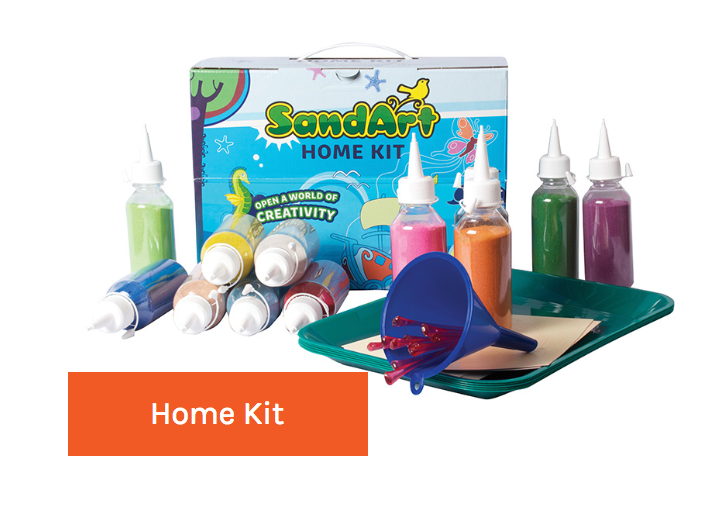 An easy to carry kit that contains trays, bottles, cards, bookmarks and enough sand to make more than 300 cards. It is perfect for schools, birthday parties and those rainy days at home. 14 Postcards, 4 Greeting card sets, 2 Bookmarks, 2 Fridge Magnets, 2 Mini Mandalas, 12 Trays, 12 Bottles coloured sand, 12 Lifters, Funnel and instructions.